Hours: Friday & Saturday 12-5 Sunday 11-4 and Monday 12-5. Groups welcome, but only two people per pass for the complimentary tasting. No total group size restrictions. Family-friendly, Pet-friendly, Picnics allowed. Leony’s Cellars, formerly Voila’ Winery is located just 10 minutes from Leavenworth, Wash. and 2.5 hours east of Seattle in beautiful Eastern Washington! Our winery is located in an agricultural rural area, bordered by wine grapes vines, apple, pear, and cherry orchards. This all lays out like a carpet on the valley floor with gorgeous mountains on all sides, so close it seems you can touch them. Local activities include, hiking, birding, wildlife observation, cross country skiing, raft/kayaking, cycling/mountain biking, boating, shopping in Leavenworth and so much more. Take a relaxing walk around the vineyards and enjoy the tranquil atmosphere! 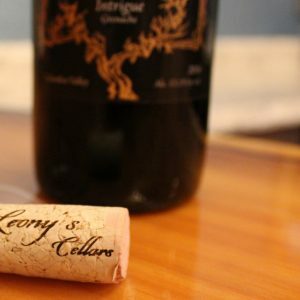 Leony’s Cellars aspires to offer our guests the fullest winery experience possible. We are a veteran and family owned and operated boutique winery. We create small batch wines ensuring quality in each bottle. We make a variety of Cabernet Franc, Pinot Noir, Gewurztraminer, Viognier, Riesling, Grenanche. Bottles range between $22-$32.